Joyce Rachelle, American author and nurse, wrote, “Dementia: Is it more painful to forget, or to be forgotten?” These poignant words describe the heartache of caring for a parent with dementia. It’s important to remember that this period doesn’t have to be defined by grief. If you learn how to better take care of your parent and yourself, you can enjoy your time together to the fullest. If you can afford it, assemble a care team for your parent. It’s important to make the most out of your time together, so think quality time over a quantity of time. If you’re not worrying about helping your parent get dressed or eat, you will have more time to do relaxing things together. You’ll also need to run errands, so finding someone trustworthy to sit with your parent while you’re away is crucial. Dementia patients have good days and bad days. Sometimes it’s okay to count one day as a loss, but don’t lose hope. When a good day comes around, try to drop your commitments and spend time with your parent. Each good day is a gift that should be enjoyed to the fullest. Engage with your loved one in activities that can help with dementia, like puzzles, cooking, going on walks, and listening to music. To care for your parent properly, you need to take care of yourself. If you aren’t getting enough sleep or eating well, you may develop health problems of your own. Make time for yourself, and don’t feel guilty about it. Sign up for a yoga class, schedule a massage, or treat yourself to a relaxing afternoon reading at a coffee shop. Stress can have irreversible effects on the body. Take care of yourself so you can be there for your parents and even your own kids. If you are feeling too much pressure and need a break, consider scheduling respite care for your parent. This way, you can recharge and come back with a fresh mindset, ready to take on the next chapter of the caregiving journey. 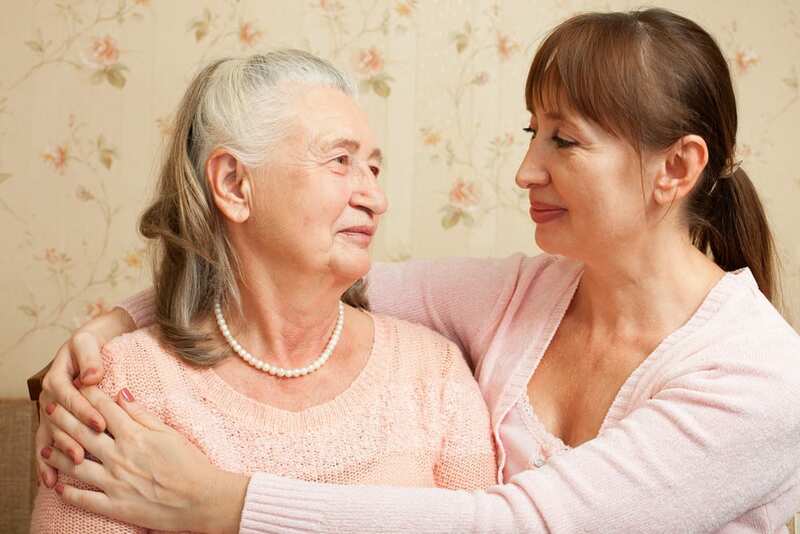 Caring for a parent with memory loss can be emotionally draining. Seeking out a support group may help eliminate any feelings of isolation you might be experiencing, and you can trade helpful tips with other caregivers. Connect with your local hospital or senior center to find out if there are any local support groups you can join. The Alzheimer’s Association also has a list of Alzheimer’s and dementia support groups. Finally, you could turn to social media and search for Facebook groups to talk with other dementia caregivers. Are you caring for a parent with dementia? A memory care facility is a great option if your loved one needs more comprehensive care after a dementia diagnosis. If you are looking for a memory care facility in Riverview, Florida, check out the Crossings at Riverview, located near Tampa, Florida. Our staff and trained healthcare associates work hard to help our residents stay on track with their health goals. We invite you to tour our community, meet our friendly staff, and see our amenities first-hand. Overlooking the Alafia River on twelve beautiful acres, the Crossings at Riverview offers a relaxing atmosphere, and our talented team is committed to cultivating a welcoming and vibrant community. Our goal is to make our community feel like home for all of our residents. To schedule a tour, call 813-296-6165 or contact us online. We look forward to meeting you!